Chef Homaro Cantu can make cheesecake without sugar, fat or cheese. Instead, all he needs is a spoonful of non-fat sour cream, a lemon wedge and a miracle berry tablet. Lemon and sour cream might not sound like dessert, but the miracle of the berry is that it makes these two ingredients taste better than Eli’s Cheesecake. Cantu, a molecular gastronomer, among other things, has spent more than eight years researching the rare miracle berry, which temporarily makes sour things taste sweet. At a recent cooking class at his Michelin-starred Moto restaurant, he demonstrated to wide-eyed guests how easy miracle berries are to use. “You just made cheesecake in a split second,” Cantu tells his class of fourteen students, after they diligently squeeze several drops of lemon juice over their servings of non-fat sour cream. 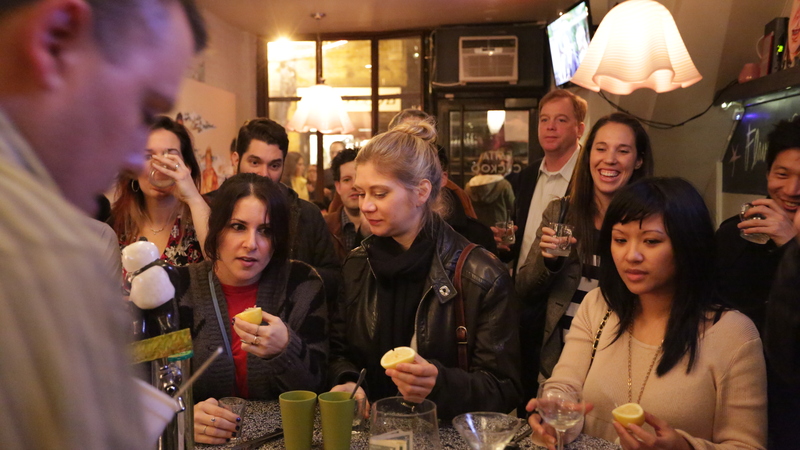 After exchanging incredulous looks, one by one each person eats a miracle berry, then tries the sour cream. It’s unanimous. This stuff tastes good. “A pastry chef needs weeks in the kitchen to learn custard-based cakes,” Cantu says as he explains how the miracle berry manipulates taste buds. “We’re really trying to dumb it down. We want a two-year-old to be able to make it. At the end of the day people ask ‘Is it easier to use? Is it better?’” In a restaurant full of gadgets and gizmos, it’s satisfyingly ironic that the miracle berry’s taste-bud magic trick can be performed without any technology at all. Not only is Cantu a chef and restaurateur, but he is also an inventor and author. 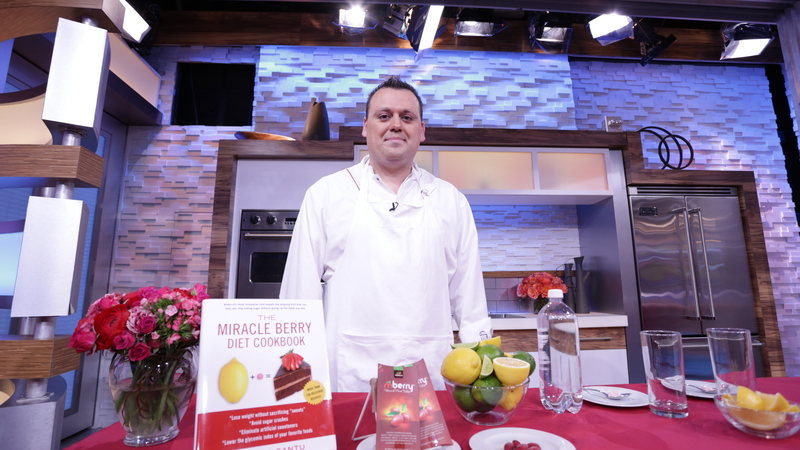 He published a “Miracle Berry Diet Cookbook” in January that he hopes will help wean Americans off sugar. The miracle berry can help diabetics enjoy the sensation of sweetness and even help cancer patients recover their appetites during chemotherapy and radiation. This berry eradicates the need for sugar, but it is also fragile, difficult to manufacture and almost impossible to cook. The federal government, manufacturers, farmers and even chefs can’t quite crack its code. Cantu is no kooky mad scientist, although he does refer to his workspace at Moto as a “test kitchen” and “laboratory.” The research lab in the basement of Moto is a cross between a biotechnology lab and a kitchen, with beakers, humming machines and a glowing periodic table adorning one wall. 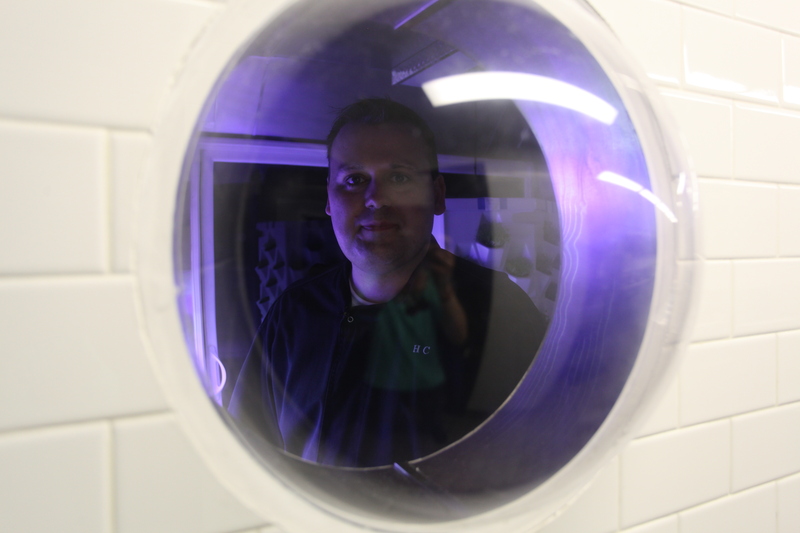 Cantu has worked with NASA to create a food replicator, converting an ink-jet printer to print edible paper. He can also Cryovac watermelon, then season it so it looks and tastes just like tuna. Another of his current projects is a vegan egg that he’s developing for Hampton Creek Foods’ Beyond Eggs brand. (Replicating the viscosity of the yolk with vegetables is the toughest part.) All of the above are just fun and games for Cantu. The project he is most passionate about is the miracle berry. 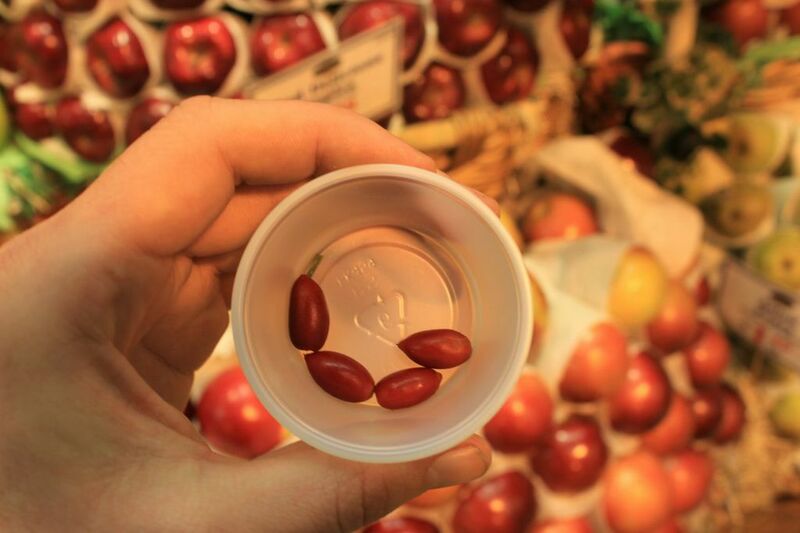 Miracle berries, or synsepalum dulcificum, are small, red and native to West Africa. They compare most closely to cranberries, with a milder tang. The magic of these berries lies in miraculin. This protein binds to the tongue’s sweet receptors and blocks sour and bitter tastes. It tricks the tongue into thinking sour foods taste sweet. After someone eats a miracle berry, their sweet receptors identify acids as sugars for up to an hour, until saliva washes the protein away. For the full effect, the berry’s pulp should be allowed to spread over the tongue for a full minute. Since miraculin is not heat-stable, cooking the berry destroys the protein’s effect. “The berry is sensitive to temperature, light and oxygen,” says Charles Lee, founder of Mberry, the largest distributor of miracle berries. Scientists are currently researching how these factors, or combination of factors, reduce the miraculin protein’s effect. “This is the world’s most expensive berry because it doesn’t last long in any state, even frozen.” Mberry sells the berry in tablet form, freeze-drying and double-sealing each tablet to preserve freshness. A packet of ten miracle fruit tablets can be purchased for $15 on Amazon.com. “More and more people have realized that sugar is killing our society,” Cantu says. “In terms of public demand for a better product, it’s the time and place for miracle berries to emerge as a legitimate sugar alternative.” Slowly, but surely, Cantu is soldiering on in his quest to make the world a healthier, sugarless place. Although the berry’s effects have the potential to shake up food systems worldwide, stabilizing it and bringing its cost down so it is accessible to those who most need it will prove difficult. Although Africans have been chewing miracle berries for hundreds of years, it wasn’t until the 1950s that the berry made its way to the U.S., thanks to tropical fruit breeder William Whitman. The berry didn’t gain traction until the 1970s, when Robert Harvey and Don Emery formed the Miralin Company and bred miracle fruit plants in Florida, Taiwan and the British Virgin Islands. They tried to mass-produce miraculin but were stopped in their tracks by a politically controversial FDA decision to label the protein as a food additive. This necessitated more research and testing for miraculin to earn a Generally Recognized As Safe (GRAS) standing, driving the young company to bankruptcy. 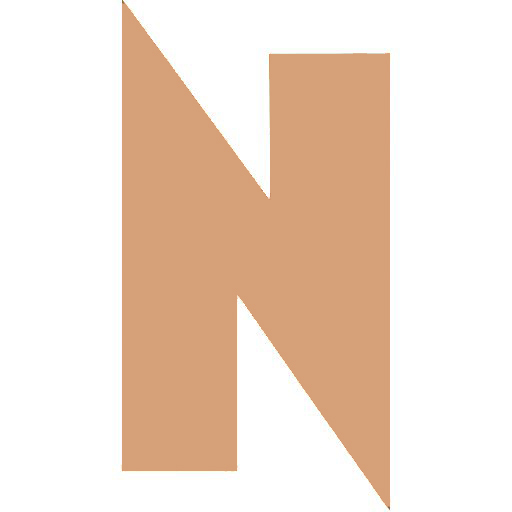 The GRAS designation allows an ingredient to be included in any number of food products. Cantu finds it ironic and frustrating that aspartame passed FDA requirements around the same time miraculin was denied. “In the 250 years since it’s been discovered, there’s been not one single case of an allergy or negative side effect,” Cantu says. “It’s really a trivial label.” But selling the berry on its own instead of adding it to food means it is no longer an additive. The Japanese already do this. Scientists and others familiar with the berry agree that miraculin is not a drug. “There’s no physiological effect,” Lee says. “All of it happens on your tongue. It’s all topical and it’s not permanent.” Although the 1974 FDA ruling still stands, Mberry is doing brisk business selling miracle fruit tablets as dietary supplements. Researchers have investigated using miracle berries to help chemotherapy patients as well. Dr. Wilken recently completed a pilot study using miracle fruit to improve food palatability for patients receiving chemotherapy. Her study was published in the October 2012 issue of the “Clinical Journal of Oncology Nursing” and all patients reported positive taste changes. If other scientists replicate her study with similar results, she says hospitals nationwide can begin implementing the treatment. “I do not believe cost should be an obstacle,” she says. Cost is still a hurdle for home cooks though. 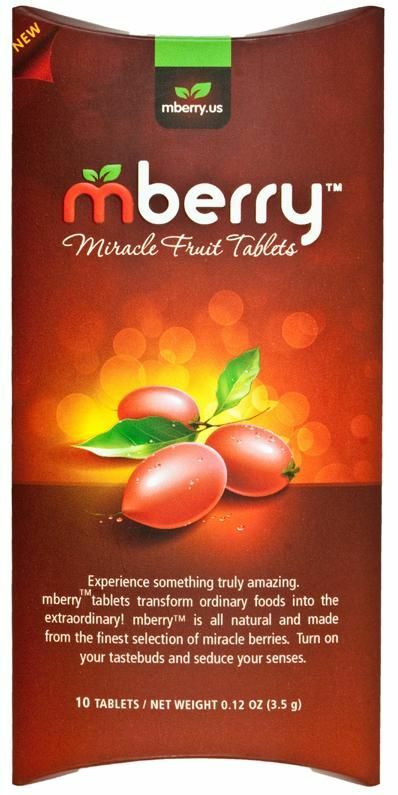 Miracle berry tablets from Mberry cost $1.50 each. It takes just one tablet to experience the berry’s full effects, but if somebody were using a berry at each meal, that still adds up to $135 per month. Mberry is partnering with Cantu on miracle berry research and development to bring this cost down. Their biggest challenge now is finding a way to stabilize miraculin. “That would be the Holy Grail for us,” Lee says. “The berry’s been around for hundreds of years and nobody’s been able to stabilize the protein.” The protein activates if it’s heated to body temperature or if it becomes moist, making storage problematic. 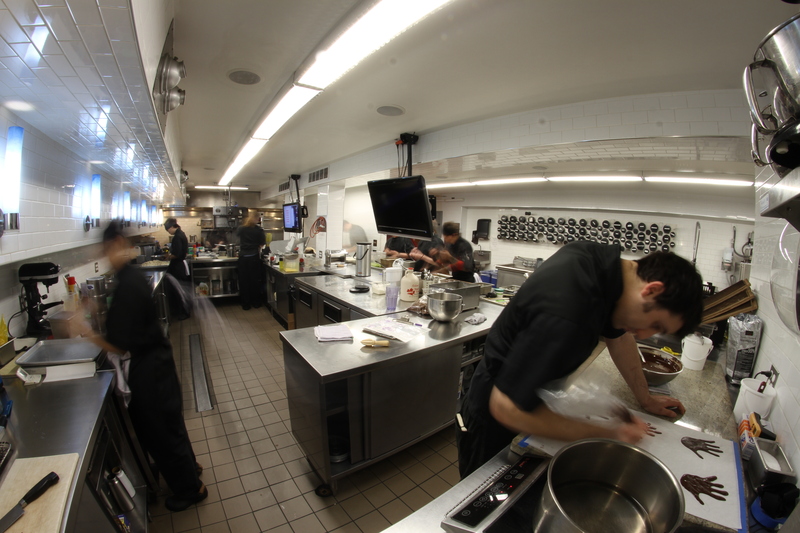 “You can’t refrigerate it unless it’s in a completely dry area,” Cantu adds. “And you can’t really cook it. That pretty much means you have to eat it before your meal.” Cantu remains mum about his current research, but says it will only be a few years until the solution is on the market. “It’ll be a dry-storage-shelf-stable product,” Cantu says, describing his current attempts to create a heat-stable version of miraculin. “You just put it in your cookie, like sugar, mix it up and bake it. 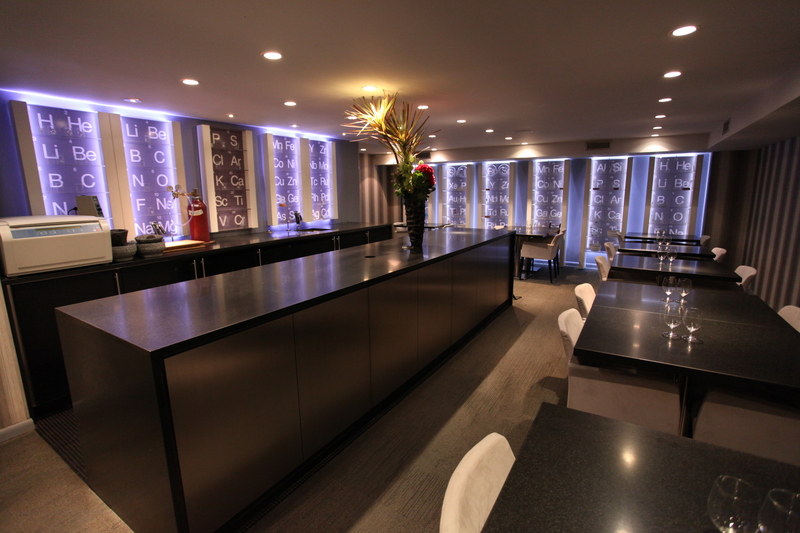 That’s the future of it.” The ability to cook with miraculin would open up new doors. Cantu estimates that he’s three to five years away from getting this new version of the miracle fruit on the market. “We’ve created some crude prototypes of it and it works, but we just have to figure out how to manufacture it in mass and make it cheap,” he says. In Japan, Dr. Hiroshi Ezura, a scientist at the Graduate School of Life and Environmental Sciences at the University of Tsukuba, has also been working on the mass-production of miraculin for years. In March 2012, he published a study in “Plant Cell Reports” on cultivating miraculin in transgenic tomatoes. “We are doing the environmental risk and food safety assessments according to the rules,” Ezura says. “We hope we can finally deregulate and commercialize. Several companies are already interested in our GM tomato.” Ezura says American companies are interested but declined to name them. Ezura’s genetically modified tomatoes will be fairly sweet but still taste like tomatoes. The miraculin’s effects will last for about an hour after eating the tomato, similar to the results of eating a fresh berry or Mberry tablet. So after eating a bowl of spaghetti with tomato sauce, a simple lemon wedge could replace dessert. Ezura says the tomatoes should be able to preserve miraculin for two weeks, a significant improvement over the current methods of preserving fresh berries and potentially more convenient than eating a tablet. Cantu and Lee do not believe genetically modified miraculin plants are the answer though. Both want to keep their product pure berry. “It’s even more difficult for us to keep it as natural as possible and stabilize the protein,” Lee says. However, that won’t deter them from trying. With the release of his cookbook, Cantu hopes to empower home cooks to compete with big companies. The recipes in the cookbook are sugarless, requiring hungry people to eat a berry or berry tablet before tasting the dish. “I want to see people taking this book and creating little competitors to big chains like Dunkin’ Donuts and Cold Stone Creamery,” he says. Cantu envisions healthy mom-and-pop sweet shops giving corporate behemoths a run for their money and in the process, giving the food industry a healthy makeover. “Imagine if I could make a better iPhone than Apple in my house. If you empower a home cook to make a better product than these big companies, that changes the whole world of food,” he says. So far, Cantu’s iNG is the only restaurant in the United States that serves miracle berries. Guests eat a little miracle berry powder before a series of dessert courses, so they flavor trip on sweet desserts containing no sugar at all. Regulatory issues like Miralin faced in the 1970s and pressure from the sugar industry don’t scare Cantu. “They can’t squash it,” he says. “There’s no Dark Knight coming in here to arrest me.” Mberry does not have any lobbyists in Washington so regulatory challenges are a possibility in the future, but Lee is hopeful that he has an ally in First Lady Michelle Obama. “She’s been known to keep a garden at the White House and promote an active and healthy lifestyle,” he says. Even though a breakthrough in stabilizing miraculin is still on the horizon, Lee and Cantu are already spreading the word. “Part of the lack of awareness for the berry comes down to education,” Lee says. He estimates that more than a million people have tried the berry so far and sales for Mberry are growing at a rate of 150 percent.